Domestic travelers contact us for availing Bus Ticketing services. In least time, we arrange bus tickets for destinations like Manali, Dharmshala, Shimla, Agra, Jaipur, Ajmer, Haridwar, Rishikesh, Amritsar, Katra, Jammu and other places. All popular tourist destinations and urban cities and towns are on our list for which, clients can avail bus tickets. Located in Delhi, India, we are a renowned tour and travel company. We are engaged in offering commendable bus ticketing serviced all over India to all our valued clients. Gone are those days when you had to bear the hustle bustle of getting bus tickets as per your requirements. Bus Ticket booking online possible. 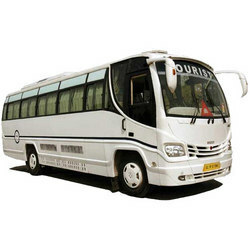 FTP provides Bus Booking (Volvo, AC coach, Sleeper etc) for domestic destinations in India. We do Bus booking for our clients. We also provide Booking for School, corporates and families tours. Online Bus Ticket Bookings across India with Great Discounts. Book Bus Tickets by paying just 25% of total bus ticket fare. Visit us for exclusive Bus ticket. We Provide bus booking at cheapest rates for all major bus operators in India to most destinations in India. We also assist with Greyhound and European bus bookings and Eurail bookings. We are partnered with many bus operators and also own a fleet of buses. Let us know where you want to reach and we would provide you a booking immediately! We are headquartered in Delhi and offer reliable Bus Ticketing services. 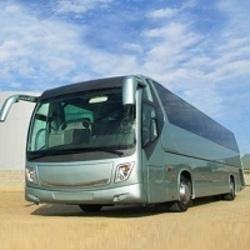 We can provide you booking in any type of bus such as deluxe, economy, A/C, non A/C etc.